Kate Aspen's Travel and Adventure Suitcase Place Card Holder presents guests with a themed guest gift as they walk into your venue and make their way to their seats! 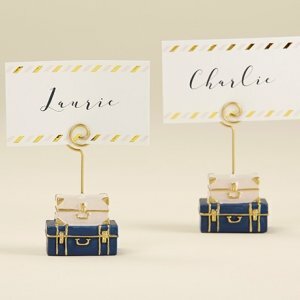 The place card holder features a double stack of suitcases in pink and blue, and comes with matching white place cards with gold foil details. 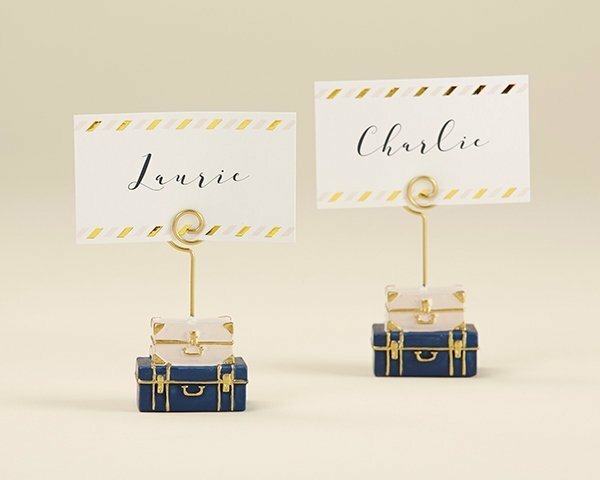 For bridal showers, destination weddings, and travel themed engagement parties, the place card holder is a useful and memorable guest gift! Resin place card holder with a double stacked suitcase design and gold wire spiral place card holder. Comes in a set of 6 with 6 matching place cards.